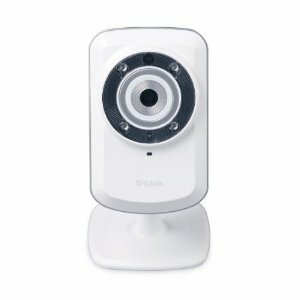 D-Link’s DCS-932L is an excellent entry-level(ish) network camera, available for around $97. The cam is equipped with wifi, night vision, and full PTZ. While many night vision enabled cameras are plagued with inaccurate, washed out daytime colors, the DCS-932L does not have this problem. It's extremely easy to setup, and it's pretty darn cheap -- so get started, and put your DCS-932L on Sensr.net!